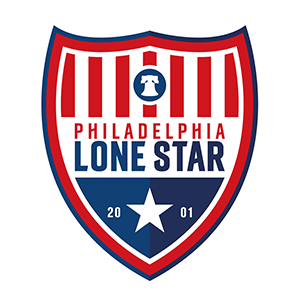 Junior Lone Star II Signs 11 Players to 2018 UPSL Roster | Philadelphia Lone Star F.C. JLS II today announced the first player signings for the inaugural United Premier Soccer League (UPSL) season. Included are Douada Camara, Jose Campos, Michael Carnahan, Ansu Corneh, Aziz Coulibaly, Deekai Gbonimy, Alex Hayes, Aaron Keita, Mohamed Tall, Francis Watson, and Daniel Willie. Jose Campos, Michael Carnaham, and Aziz Coulibaly are all new players while the rest are returnees from last year’s successful under-23s season. Douada Camara , 24 = MF = Bryn Athyn Univ. Deekai Gbonimy , 21 = MF = Wilmington Univ. JLS II’s inaugural season in the UPSL begins on April 14 against Upper Darby FC at the Ardmore Elementary School in Lansdowne, PA.
For the full schedule, and detailed information for JLS II, please visit www.juniorlonestarfc.org/second-team.